The Mandalone Project was created to provide a forum for dancers and choreographers to develop and hone their art. In a society where money has clearly become the end all be all, we felt that something had to be done to keep alive the concept that without art there could be no humanity. This company is our contribution and commitment to that ideal. For precisely that reason, each performance is a victory in and of itself. Founded by Joseph Malone and Louise Mandel this is the third such concert presented. This riveting series features exciting new concert pieces by some of today's most prominent and up and coming choreographers. Ballet, Jazz, Modern and Tap - contemporary dance with something for everyone, including a work incorporating American Sign Language. Each concert has been performed to sold-out houses. 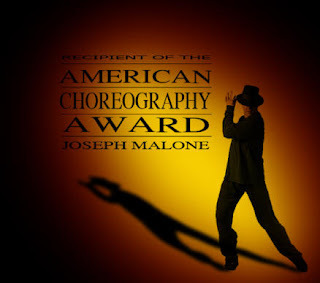 Scheduled choreographers include Joseph Malone, Jerry Evans, Ka-Ron Brown Lehman, Andrea Wilson, Michlle Elkin, Mark Goodman, Lynn Fanjeaud, Louise Mandel, Marguerite Derricks, Terrance Yates, Tamara Gray, Dennon and Sayhber Rawles and Carlyn Muchmore Duffy.